Seattle pianist Chris Guthrie honed his skills in different formations. He performed as a guitarist in a jazz big band (Cal. State Hayward) and in a jazz/blues trio (T. Lane and the Nitehawks), and most recently played keyboards in an alternative rock band (Fred Roth Revue). The Chris Guthrie Project is a collaboration with longtime friend Steve Oliver. 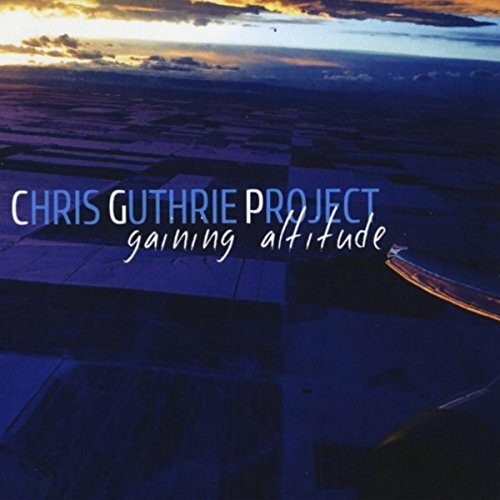 The result is Chris’ debut album Gaining Altitude (2017). Chris plays on this album piano and keyboards. Steve Oliver guitar, guitar synth, bass, drums, percussion, and vocals. Both wrote all songs. Steve produced, recorded and mixed the album at Westie World Studios. The duo has put the main emphasis of the title song on the optimal creation of atmosphere out of a minimum of tonal sequences. The beauty arises from the lovingly designed details. Bombi’s Bounce reveals a special affinity for the early Pat Metheny Group, specified on the keyboard creations of Lyle Mays. Master guitarist John Sherry resides on the Monterey Peninsula, home of the nation’s longest running Jazz Festival. His virtuosity as a guitarist has accorded him the honor of being voted Best Musician on the Monterey Peninsula three years in a row. In the words of Mac McDonald of the Monterey County Herald, “John Sherry is a marvel!” John has been a regular contributor of original music to the hit television show “The Mentalist” on CBS. John performs annually at prestigious events, including The Tiger Woods Foundation Golf Tournament at Pebble Beach; The Concours d’Elegance, for Bentley Motors, USA and Audi, USA; and the world-renowned Pebble Beach Food & Wine Festival. This acoustic guitar album is listed under contemporary jazz on CDBaby. Lastly Rick Braun. Not only is he a world-class musician, producer, and performer, Rick is also a great person. They met through a mutual friend. After hearing he was a good piano player and songwriter, Rick asked Paul to send him some of his tunes. He called him later in the day telling Paul he was serious about sending him some of his work. Paul sent Rick some MP3’s and he liked his compositions and offered to help out with the production of some of the tunes. Paul just can’t say enough good things about Rick Braun! The result is Riding the Jetstream, an album which is available at Amazon.com. High Time is eclectic music with a fresh blend of many genres and styles, from old-school R&B, Funk, and Soul, to Smooth Jazz, Bossa Nova, Neo Soul and Adult Contemporary, sprinkled with touches of Rock, Jazz Fusion and World Music. That is the official description of multi-instrumentalist J Beam, who produces his creation in his own home studio. J Beam’s sophomore release High Time is yet another endeavor full of grooving, exciting, and energetic music. It boasts instrumental music with a ‘voice’ that speaks to the listener. Certainly one of the better self-produced projects, you should give it a listen on CDBaby. Drummer Ralf Gustke has already performed with Chaka Khan, Wolf Maahn, Edo Zanki, Gianna Nannini, Georg Danzer, Nena, Schiller, Daniel Wirtz, Söhne Mannheims and Xavier Naidoo, for many of them also as a musical director. His credits are in the liner notes of more than 150 CDs and DVDs. He has played a key role in shaping the style of contemporary jazz, especially in Germany. Flying Days (2017) is his debut album. 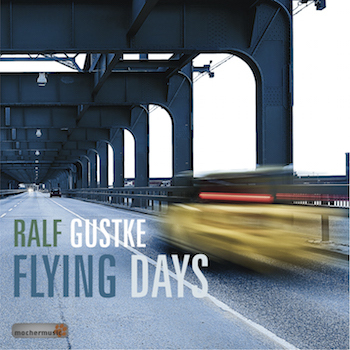 Ralf performs on his album drums, congas & percussion, samples, loops & beats. Additional musicians are Joo Kraus (trumpet and flugelhorn), Jesse Milliner (synthesizers, Rhodes, and piano), Claus Fischer (bass and guitar solo on Little Things). Guest musician is Joerg Dudys on guitar. Gustke introduces in his project with Indian Summer, a piece of music in which he lives out his creative spectrum as a drummer. The tune has various facets of contemporary jazz with elements comparable to Pat Metheny’s early period, improvisations beyond the border to free jazz and quiet melodious phases. Gregory Tyrone is the jazz-funk artist formally known as GMoney. This new album Back For More took 4 years to complete. It features a hard-driving dance floor ready groove, the album’s title track ‘Back For More’. It then is rounded out with cool lounge songs like ‘Second Round’, heartfelt ballads like ‘After The Love Is Gone’, soulful R&B based songs like ‘In And Out’, and bouncy jazzy track with a reggae feel, ‘Best Friends’, and the first vocal track from this artist ‘Out Of This Space’ which is a song dealing with the subject of political discourse and social injustice. Back For More is a fusion of jazz with various genres, R&B, dance, reggae, pop, rock. If you have followed GMoney’s 3 previous albums you will hear a new maturity and sophistication with these new songs and represents a new direction for future releases from Gregory Tyrone. You find this album under jazz-funk or jazz-pop on CDBaby. His musical roots run deep, having his earliest musical experiences in Blues, R & B, Reggae, Latin, Tejano and Country bands. It’s his love for music that keeps him grounded and his love for jazz that keeps him performing. Soon after academic life, he pursued many different avenues in the field of music; at times as a sideman for many local artists and other times as a studio musician. Billy Ray Sheppard is one of the first call smooth jazz performers in the San Antonio area, having shared his talents on stage with notable genre stars Steve Oliver, Peter White, Adam Hawley and Will Donato. He’s also performed with Roy Hargrove, Julio Iglesias, The Dirty Dozen Brass Band and many more. With his saxophone’s rich, warm, soulful tone, he has made a name for himself on the local and national music scene. Saxophonist Billy Ray Sheppard’s debut album Silk will be available for purchase and streaming at all the usual music outlets this month. Silk was co-written and produced with smooth jazz hitmaker Steve Oliver and features 10 original tracks! 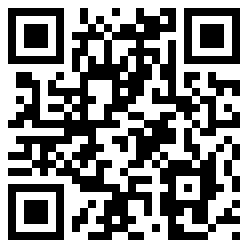 You can now purchase Silk from CDBaby.